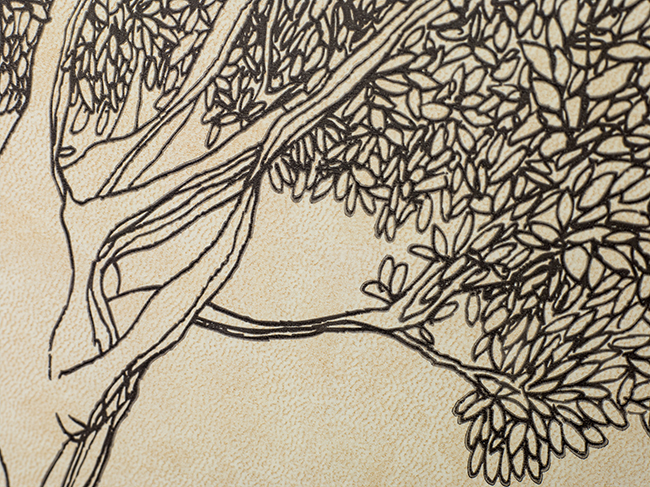 The Dreaming Tree is a line of wines produced through the collaboration of award-winning Sonoma County winemaker Sean McKenzie and musician Dave Matthews (of Dave Matthews Band). 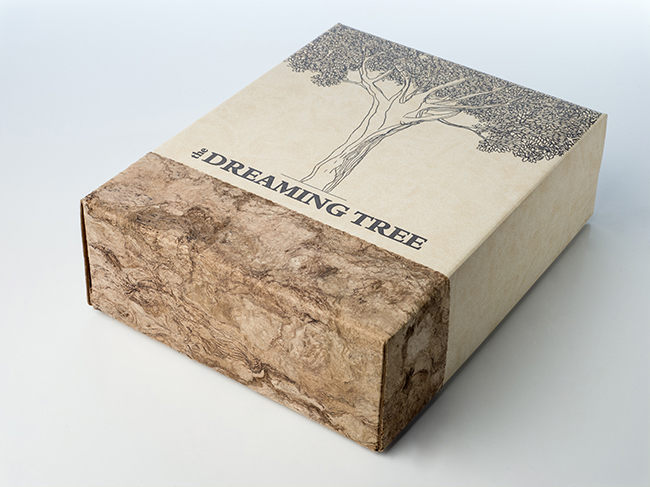 The company gets its name from the song “The Dreaming Tree” found on the Dave Matthews Band 1998 album “Before These Crowded Streets”. When McKenzie and Matthews first met, they realized they both had a passion for wine — and their passion for making it was as strong as their passion for drinking it. They set out into wine country, looking for a way to make quality wines more accessible to everyone. Along the way they found inspiration in the people they met and the unforgettable flavors they experienced, which ultimately inspired The Dreaming Tree wines. Bud Felson of Okina Sales worked on the packaging for the product launch. 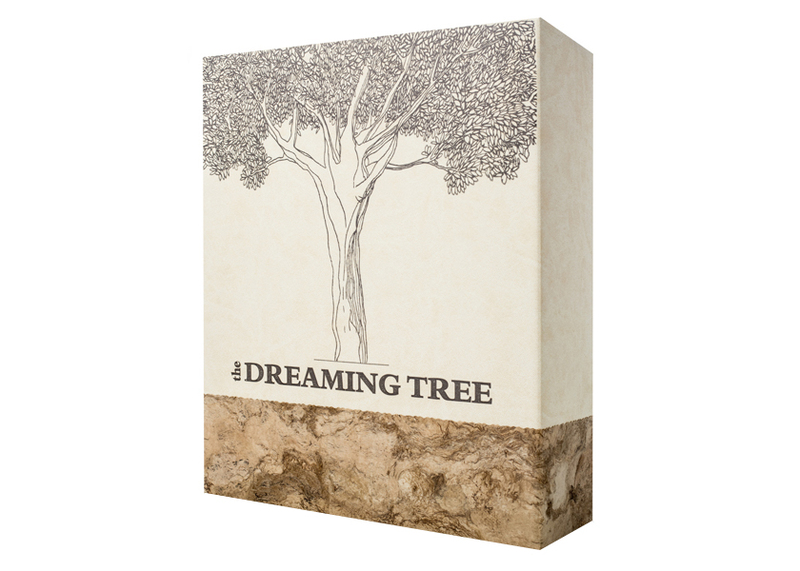 He was asked to create a box that would hold three bottles of The Dreaming Tree wines. With a finished size of 12.5″ x 10″ x 4″ this was going to be a big, and heavy package. Housing three full bottles meant engineering a box sturdy enough to secure and support its contents, while meeting the customer’s criteria of something really elegant. Felson says the team first designed a two-piece box. The bottom is constructed of corrugated flute board, designed to fold in on itself to create corners without cut edges. Inside, an insert holds the bottles securely in place. With the portion of the box that would protect its contents completed, Felson moved on to designing the lid. This is where things got tricky. 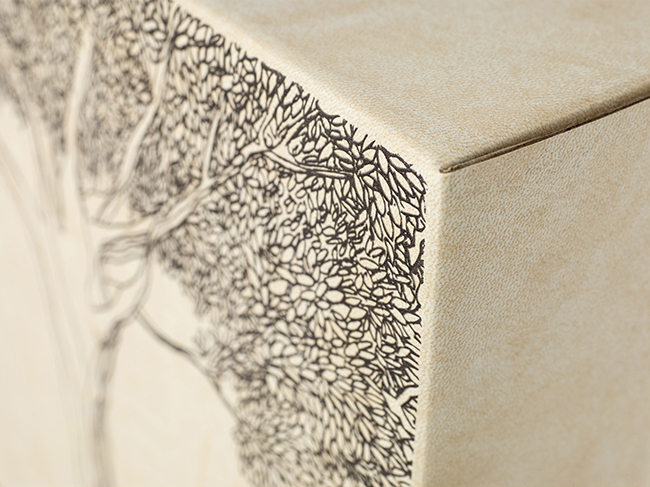 The box wrap specified for the lid was Neenah SILKTOUCH Nuba Papers exuding the feel of plush leather. “SILKTOUCH has such an elegant look and touch, and the printed pattern in the paper supported the natural look the client was after. From a printer’s perspective, it’s a very nice paper to work with,” said Felson. SILKTOUCH from the NEENAH® Box Wrap Collection is a popular paper in the premium beverage market for its luxurious feel and superior performance. SILKTOUCH Nuba is specially engineered for its tactile softness and underlying strength in turned edge applications such as rigid boxes and it performs beautifully with silk screening, foil stamping and embossing. Felson and his team had a large graphic to print on the box, and needed to find a creative printing solution to accommodate the design. As an added element to the packaging, Felson brought some Mexican Amate bark paper into the design. “It’s such a beautiful, hand-made paper and a wonderful way to visually and tactically add an extra level of the natural appeal to this package. The end result really represents the brand,” he said.